This article is for anyone who needs to lower high total alkalinity (TA) and high pH down to the recommended levels for a swimming pool. All you have to do is add muriatic acid to lower both totally alkalinity and ph, then aerate the pool to balance pH out. It usually takes me two days and two nights (a full 48 hours) to get the perfect balance of total alkalinity and pH. 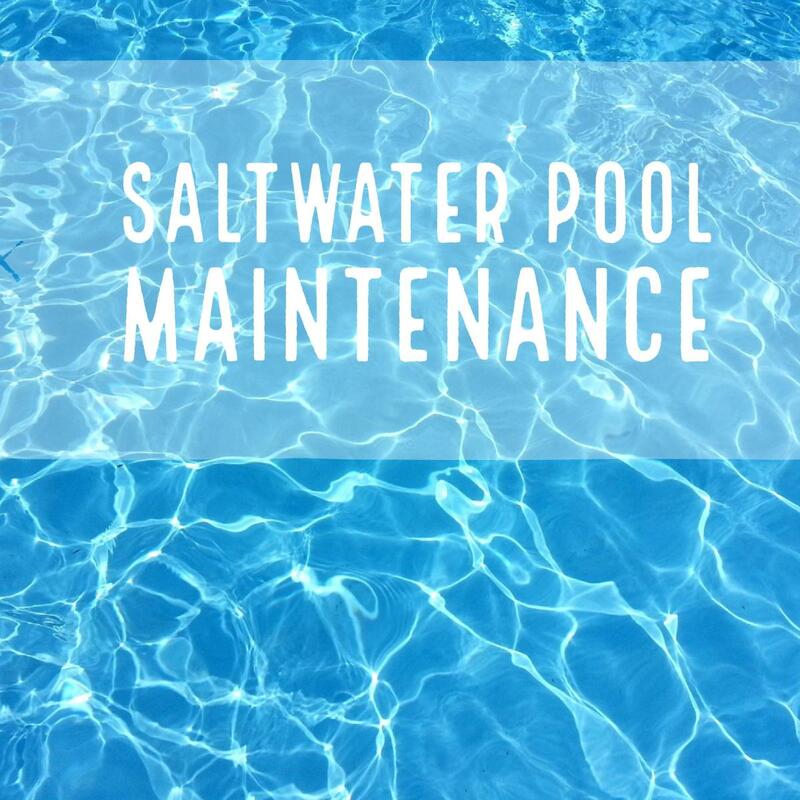 However, this process needs patience as it may take a day, two days, one week, or even longer, depending on how extreme the TA and pH levels are high in your pool. Take accurate readings of TA and pH using a reliable test kit. Dilute muriatic acid and distribute it evenly in the pool. 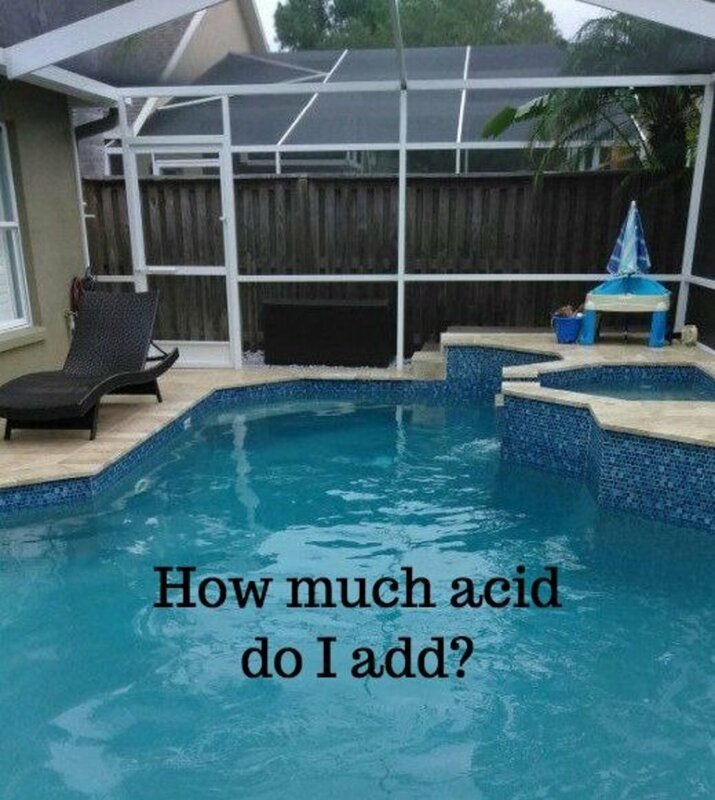 Use a pool calculator to get the exact amount of acid needed. Your target TA level should be 100 ppm. Allow the pool water to aerate naturally without using any aerators such as spa jets, waterfalls, fountains, return pointers, air compressors, or the likes. Aeration helps bring up the pH level if it goes too low. The recommended level for pH is around 7.4 or 7.6. Take readings after six hours, then after 24, and then after 48 to make sure all chemicals are balanced. If you're lucky, and the pH level doesn't go below the normal range, then you do not need to do anything more. If pH levels are still too low after 48 hours, and you want to speed up the process, use an air compressor to accelerate the aeration process (optional). Natural aeration (not using any equipment to speed up the process) is highly recommended, but if you need faster results, at the end of this article I have included a list of equipment that will help speed up the process and instructions for how to use it. Extra care must be taken to avoid over-aeration if you decide to use aerators because over-aeration raises the pH levels and lowers the calcium carbonate levels beyond recommended levels, which can cause significant damage to the pool. Muriatic acid: The success of lowering alkalinity largely depends on the acid you use. I like using Sunnyside Muriatic Acid because it works very quickly. Some people use sodium bisulfate, but I find muriatic to be the most effective. Wear goggles, gloves, and long sleeves when working with this substance or any other chemicals. Accurate pool water test kit: I prefer the LaMotte ColorQ Pro 11 digital water test kit. You need a very accurate test kit for this process. The more accurate your readings are, the easier your work will be. Most of the test strips out there are not accurate and will make your job more difficult. Aeration: This is not a tool or chemical but a process that restores pH levels. (Don’t get tense. It's not rocket science!). pH levels may go down after a strong acid like muriatic is added, so aeration is needed to restore the recommended pH levels naturally without adding a pH increaser, which increases alkalinity. • Your target TA should be 100 ppm. TA in the 80-120 ppm is considered balanced. I always use a LaMotte ColorQ Pro 7 digital test kit to do this. Let's say that the pH reads 8.3 and total alkalinity reads 280 ppm, which are the real values from a pool I worked on last. Your readings may be higher or lower, but let's just use these numbers as an example to help you understand this process. In the same example above, I set my target value of TA at 100 ppm. It is important to note that both the levels of TA and pH reduce when acid is added. A target value of 80 ppm or 90 ppm should be just fine, but I anticipated that the levels of pH would drop way below 7.0 when I add a strong acid, so my experience told me that 100 ppm was ideal for raising the level of pH later on through aeration. Use a pool calculator to calculate the exact amount of muriatic acid you will need in order to achieve the target value of 100 ppm for TA, or whichever target value you have chosen. In this step, don't worry too much about the pH yet. The main aim is to lower the total alkalinity to recommended levels. Later on, you can aerate to raise the pH level if it goes much lower than is recommended. The pool in my example holds 20,000 gallons. To get my target value of 100 ppm, I needed to add about 2 quarts of muriatic acid. I usually distribute the muriatic acid solution slowly around the pool while the pump is running high to increase the effect. 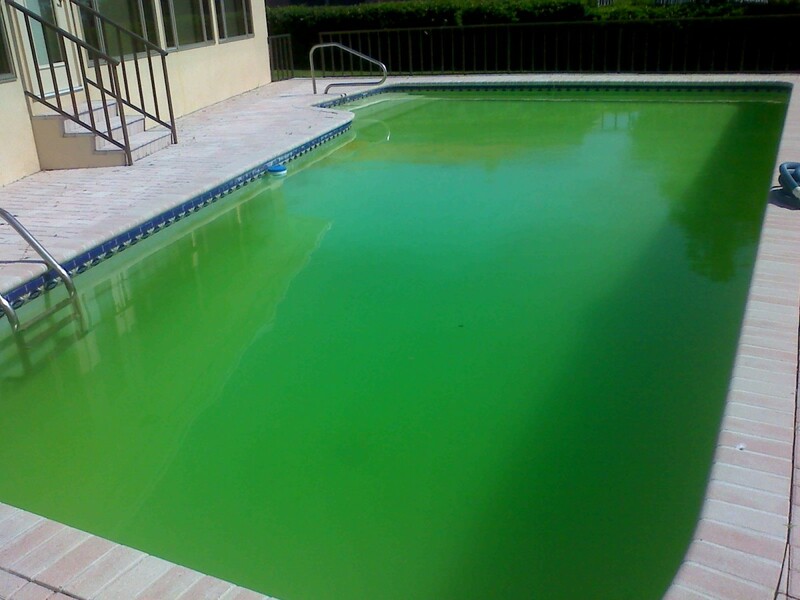 Some pool managers prefer adding the muriatic acid solution in one spot. Personally, I don't like to do this because acid can damage pool parts when it is concentrated in one region. The natural process of aeration begins after you add the muriatic acid and the levels of pH and TA have fallen and settled. During the aeration process, the levels of pH alone will rise gradually until it reaches the recommended level. You will be watching for the changes in pH and alkalinity levels by doing a test after every 6 hours until it reaches the right range. If pH is within the normal range after adding muriatic acid, then you are done. Taking the reading after six hours is just to help you know whether you are making any improvements in lowering the TA and pH. Amazingly, when I tested the water six hours later, total alkalinity read around 205 ppm (down from the original 280 ppm) and pH was at 7.6 (from where we started at 8.3). Your numbers may be different, but you should see a similar reduction in your process too. The next day, a full 24 hours since I started my test, the total alkalinity had gone down to 120 ppm. This is not the 100 ppm target value I set, but I was still impressed since 120 ppm is already within the recommended value for a standard swimming pool. On the other hand, pH was lower, reading 7.1. I didn't worry too much about this because according to my digital pool water test kit and pool calculator, the lowest it pH can go is 6.8 and still be okay and non-destructive. Plus, the aeration process wasn't finished. Since both chemicals were within a reasonable range, all was fine for me. So I waited to take my next reading in the evening, approximately 5 to 6 hours later. At that time, TA was ranging at 106 ppm, and pH had dropped to 6.9. After two days and two nights of keeping a close watch over the process, I took the reading in the morning. Total alkalinity in my example read 101 ppm—not bad at all. The pH was stable at 7.4. Remember that even if the natural aeration process is not complete, pH levels will not likely rise above the recommended levels because the alkalinity is within range and no pH increaser was used in this process. How Does Aeration Increase pH Levels? When you aerate, you are exposing the water to more oxygen in order to do away with some of the carbon dioxide. When carbon dioxide mixes with water, it forms an acid we call carbonic acid, which lowers the pH levels. On the other hand, when acid is removed from the water, the pH level rises. Aeration literally removes carbonic acid from the water, which then raises the pH levels. 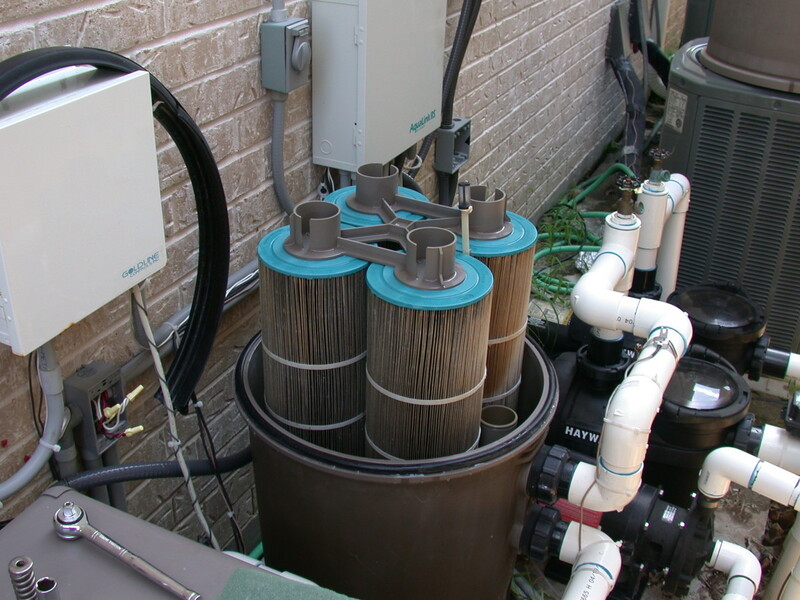 I always recommend natural aeration because with this method, you cannot over-aerate your pool, which is a very common issue when aeration equipment is used. As a matter of fact, over-aeration is dangerous since you need some carbonate to act as a pH buffer. Carbonate is useful in plaster pools because it prevents the plaster from dissolving. In the case of over-aeration, pH will rise above the recommended levels while calcium carbonate will reduce below the required level. To fix this, you'll need to adjust the pH and calcium carbonate levels to avoid any further damage. Aeration is a complicated process. It involves pointing the returns upwards and running the pump on high to create surface disturbance, which introduces air. You must go through this process until the perfect natural equilibrium is reached between water and air. You start by adding muriatic acid as needed in the pool. This will lower both the pH and total alkalinity. You must repeat this step until you get a perfect chemical balance. In most cases, when total alkalinity goes up, pH will drift up as well. Unfortunately, there is no pool chemical that can raise pH only without raising total alkalinity—maybe one day chemical engineers will invent that kind of chemical :) In other words, if you lower a pH of 8.3 to the recommended level using muriatic acid, the total alkalinity will also reduce but will still remain on the higher side. Likewise, if you lower alkalinity to the recommended level (e.g., from 300 ppm to 80 ppm), the pH level drops way below the recommended level. If you add a strong acid like muriatic and then add a base like soda ash to raise total alkalinity, it will not work. 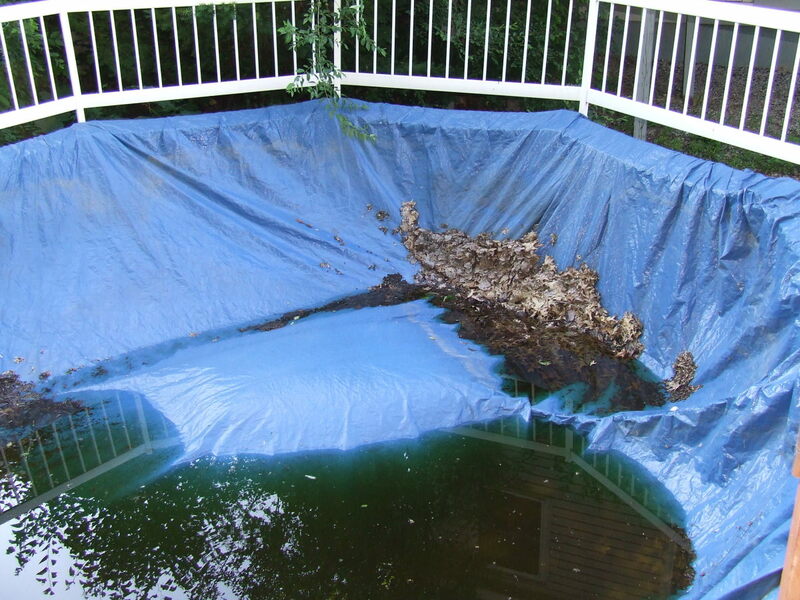 This is because both chemicals (base and acid) will cancel each other, leaving your pool in the same initial mess. Aeration is a repetitive process that is done slowly, step by step. Your goal is to use muriatic acid to reach the target value of total alkalinity without letting pH go below 6.8. If the pH falls, you can raise it without affecting total alkalinity by aerating. Using an air compressor at the surface of the water will add more disturbance and speed up the process. Try an air compressor with an end tube that has several tiny holes in it. Place it in the deep end. The small bubbles that escape from the holes produce carbon dioxide, which is released to accelerate the aeration process. Do this with the pump running high. With an air compressor, it may take only a few hours to get TA and pH back to recommended levels. Use a degasser to remove carbon dioxide faster. Use a pressure washer aimed into the water to create turbulence. Use return lines that are aimed up (e.g., waterfalls or spillways). If your pool has a high level of pH but total alkalinity is OK, pick up pH Reducer and get it down to recommended levels (between 7.2 and 7.8). And remember not to use muriatic acid in this case, since it will lower your TA. I always use liquid pH Minus by Kem-Tek, which is always very effective and quick compared to other brands. If you already know you have low pool alkalinity but pH is OK, get some alkalinity increaser to bring it back up to the recommended levels, and do it fast to avoid corrosion. Alkalinity Increaser by Pool Mate is one of my best options, since it is effective and pocket friendly. I have used it ever since I started in the pool service business, and I have never changed to any other. TA should be kept between 80 and 120 ppm for pools with liners and between 100 and 125 ppm for pools made of plaster. If your pH is high and alkalinity is low in the same water, you may need to add pH reducer/minus and then alkalinity increaser to your pool to lower pH and increase alkalinity respectively. 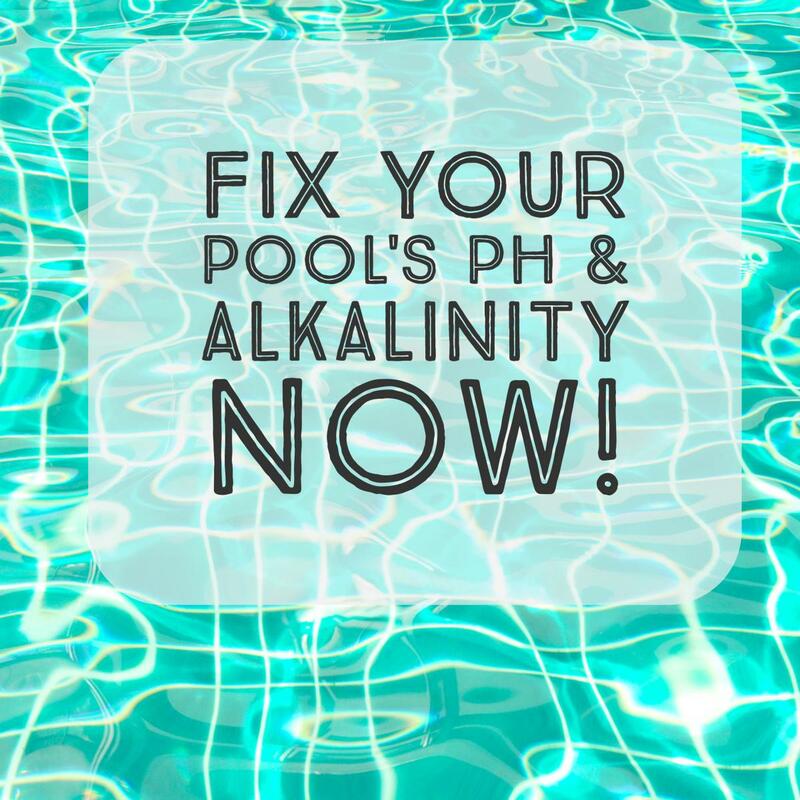 In very rare cases, your total alkalinity may be high but with a low pH in the same pool. If so, using muriatic acid directly to lower TA is not a good idea since this will further lower pH down to very dangerous levels for a swimming pool. In this case, the best thing to do first is to use 20 Mule Team Borax to raise the level of pH without raising your TA, and then carefully add muriatic acid to lower both. This product is the most effective one I've found, and I use it for my clients. It is a better option than pH increaser/plus since it does not affect other chemicals in the pool but only increases pH. 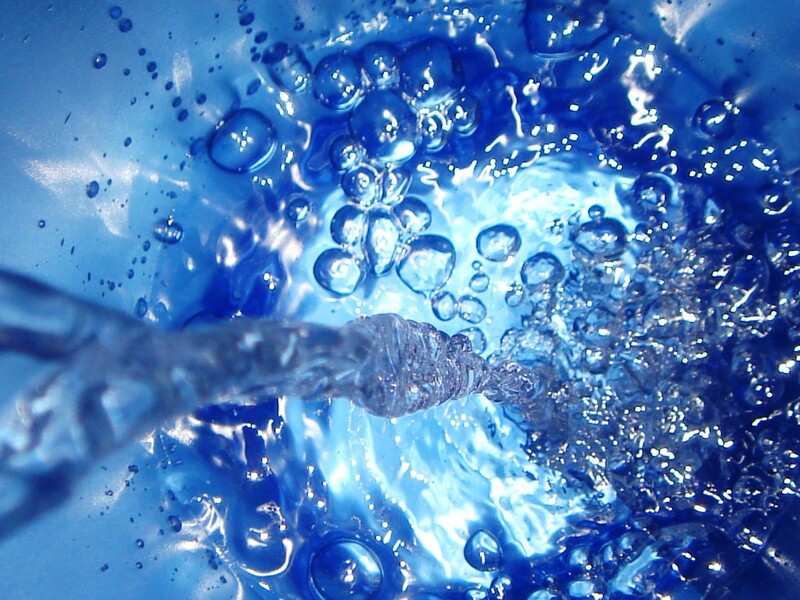 Alternatively, you can naturally aerate (use an aerator if natural aeration is taking longer) your pool while the pump is on 24/7 to raise the level of pH up between 7.6 and 7.8 or higher, which might take a couple of days, and then lower both the TA and pH using muriatic acid slowly and carefully while watching on the pH levels not to go very down: Repeat the process until you get the required levels for both total alkalinity and pH. Should I Use Soda Ash and Baking Soda to Raise pH? Last month, a close friend of mine who has a plaster pool informed me that he had a huge drift in pH. I came to realize that he was using soda ash to increase the pH whenever it dropped below the recommended level, and baking soda to raise TA. Some parts of the internet recommend this as a quick fix, but don't do it! Soda ash and baking soda raises alkalinity to abnormal levels, which in turn also increases the pH to a disproportionate amount. When I checked my friend's pool, pH was at 8.2 and was scaling up higher day by day. Total alkalinity was reading well over 280 ppm when the recommended values should be between 80 ppm and 120 ppm. Luckily, the calcium level did not scale as expected due to the calcium saturation index — it was within the expected range of 250 ppm. 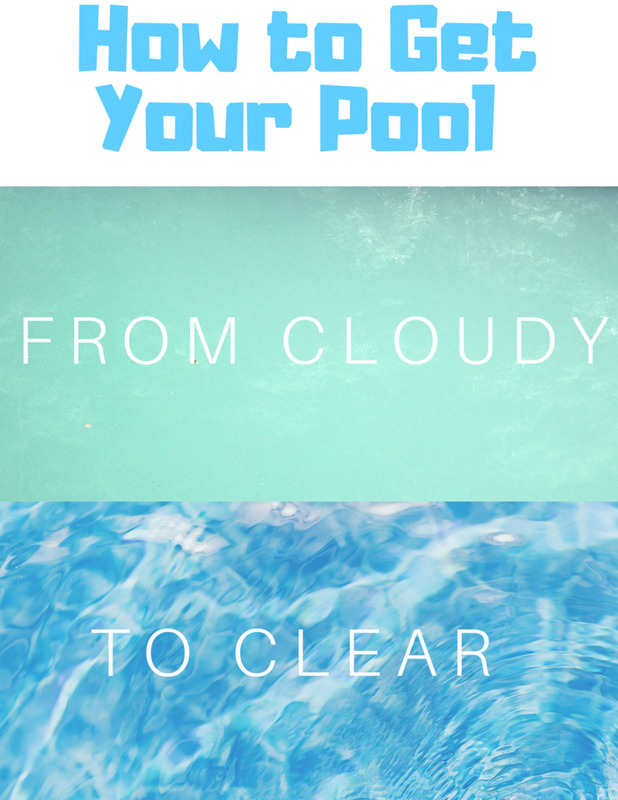 Calcium scaling causes cloudy pool water. If you have a cloudy swimming pool water or a pool algae breakout, then it is likely caused by high TA and high pH levels and you need to shock the pool to balance everything out again. How Does High Alkalinity Harm Your Pool? A high TA level has the potential indirect risk of affecting how all chemicals function in a pool. For instance, the pH—one of the most important chemicals in the pool—is hugely affected by total alkalinity. When alkalinity goes too high, the pH will drift to the higher end and this will render all chemicals useless, including chlorine. On the other hand, when the TA goes too low, the pH will drift down. This is very destructive to the pool's structure and equipments, as well as harmful to human health. High total alkalinity is also associated with calcium saturation index (CSI), a process that causes calcium scaling and comes as a result of high pH levels. Can You Safely Swim in a Pool With High Alkalinity? As long as you have enough chlorine in your pool (around 3ppm for total chlorine) and the pH level is balanced (between 7.4 to 7.8), then a pool with high total alkalinity is still safe to swim in. You should, however, balance TA as soon as possible because it can lead to calcium scaling and cloudy water—a breeding ground for bacteria. Total alkalinity should only be lowered when it causes a significant rise in pH levels, or when it causes calcium scaling through CSI. To lower pH and total alkalinity, use a strong acid such as muriatic acid, sulfuric acid, or sodium bisulfate, all of which lower both pH and TA, but at different rates. You need to use an accurate water test kit that can give you correct readings. If possible, find software that can help you get exact amounts of dry acid to add into the water. This process may take longer than anticipated, depending on how high pH or total alkalinity is and how low you need to bring them down before the aeration process begins. However, you can always use an air compressor or any other aerator to accelerate the process. If you have achieved the ideal reading for total alkalinity but the pH is scaling up because the process of aeration has not yet ceased, you can use borate to keep the pH stable. The recommended level for pH is around 7.4 or 7.6. 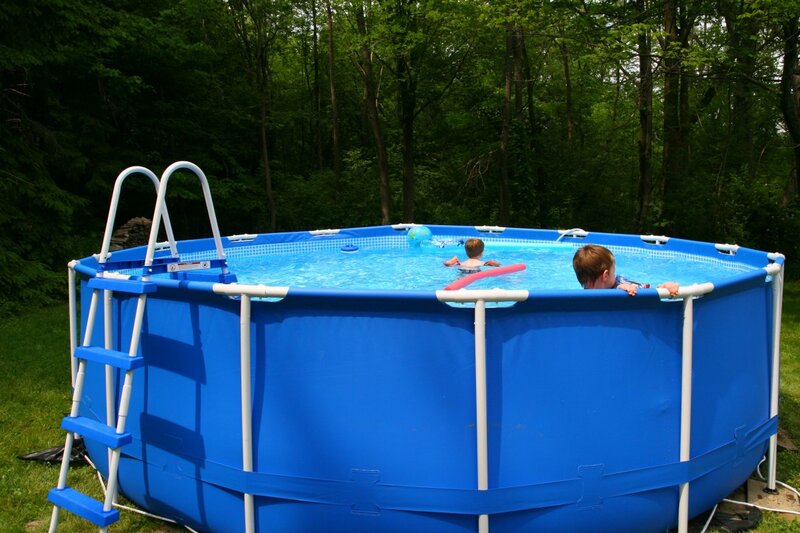 I have an 18'x4' round above ground pool, pH: 6.8, TA: 180. How do I get my pool's pH to 7.4 and TA to 120? You need to raise the level of pH to read between 7.8 - 8.0 first using 20 Mule Team Borax or through aeration without raising the TA, then carefully add muriatic acid to lower both pH and TA to recommend levels. If your pH goes down the recommended range, you will have to repeat the procedure again till both pH and TA balance. I have an above ground pool. The TA is high and the ph is at 7.2. I have done soda ash and muriatic acid but just end up in the same mess. What can I do? Your pH is a little down: Add 20 Mule Team Borax to the pool to raise pH level higher (around 7.8) first, then add muriatic acid carefully to bring down both the pH and TA. You may have to repeat the process till TA and pH balance out, depending on the level of your TA; the higher the TA, the more you'll have to repeat the process. My pool is 5500 gallons. The alkalinity is 427 ppm and PH 8.5. I put one gallon of muriatic acid and tested the water after 24 hours, and there was no difference in the levels. The free chlorine is 0.05 ppm. Should I add another gallon of muriatic acid, or should I shock it, wait 24 hours and then add more acid? Don't shock the pool until pH and Alkalinity are balanced. Both your pH Alkalinity are still too high: Just add more muriatic acid to bring down TA between 80 - 120 ppm, pH between 7.4 - 7.6. If your pH goes below the recommended range, you will have to use 20 Mule Team Borax to raise the pH levels without raising TA, and repeat the process till your pH and TA are balanced then shock the pool for free chlorine to read 3 ppm. I just recently had an above-ground, 8,600-gallon pool installed. Right away I noticed that the TA was extremely high. Over the last two weeks, I have added three quarts of diluted muriatic acid one quart at a time every three days or so. Twelve hours after the last treatment I am still sitting at around 230 total alkalinity. This doesn’t seem to bring the desired results . Do you have any suggestions? The PH is also still high. For faster results, you need to use a strong acid and not a diluted acid. Try using a strong muriatic acid instead of a diluted one, and both pH and TA will reduce. My plaster pool's TA crept up from 120 to 130 over the last few weeks, but the pH is a low 6.8 to 7.2 maximum. How much Mule Team Borax should I use to lower the TA for a 14,000-gallon pool? Your TA is not very bad, and you will not need much muriatic acid to lower it to settle between 100 - 120 ppm. But since your pool's pH is already down and will further go down when muriatic acid is added, add 20 Mule Team Borax as directed by the manufacturer to raise the pH first up to around 7.8 then add muriatic acid to lower both pH and TA down to recommended levels. I have a 29,000-gallon inground pool. Recently, my alkalinity was measured at 240, with a pH of 7.8. I added muriatic acid, and the pH dropped to 6.8, while the alkalinity dropped to 180. I'm not sure what to do now. Any advice you could give would be much appreciated. I see that you recommend borax in other postings. If that is the case, how much should I add? Alkalinity level is still too high, but your pH is going down past the recommend the lowest level of 7.2 for a standard swimming pool. As such, you need to add borax to raise pH first to around 7.8, then add muriatic acid to bring both the pH (7.4 - 7.6) and TA (80 - 120ppm). For the amount of borax to add, use the ratio given by the manufacturer. My fiberglass pool holds 20,000 gallons and the TA is around 300ppm, but the PH is always between 7.3 to 7.6. I have tried to reduce TA with muriatic acid for a couple of months but adding it just decreases the PH and the TA stays the same. What do you suggest I do? Just use muriatic acid to reduce the TA down to normal, pH too will reduce but that is not a problem because you will use aeration process to bring back pH to normal. Refer to the same article on different ways you can bring back pH through aeration. The first one I prefer is natural method where you just leave the pool pump running after adding muriatic acid and the TA is already back to range then the pH will rise back to normal within 24 hours. The second method is where you accelerate the process by using aerators such as water fountain equipment or fitting jets to expose more pool water for aeration. My pool's total alkalinity reads 1000 ppm, chlorine levels are high, and pH is low. What do I need to do to balance the chemicals in my pool? First, you need to stabilize pH and TA. The level of TA is too high; which calls for a lot of work. You need to raise pH first to levels higher than recommended, then add Muriatic acid to reduce both pH and TA. You will repeat the process until you balance TA and pH. For chlorine, you can leave it to reduce by itself as free chlorine will be used up by sunlight until it reaches the required limit, then shock the pool when free chlorine is below 3 ppm. My pH is 7.2, my alkaline is 150. How much borax do I add to 11,800 gallon pool? 1 box of borax will increase pH in a 20000 gallon pool by 0.1, meaning your pool will need around 2 to 3 boxes of borax and then carefully add muriatic acid to bring down both pH and TA since your TA is a little higher. Alternatively, you can aerate the pool using foutain adapter or eyeball fitting to bring up pH levels to around 7.6 and then reduce both the pH and TA using muriatic acid. TA should be between 80 to 120ppm for liner pools and 100 to 125ppm for plaster pools. I have an above ground pool. The TA is very low, but the pH is very high. What do I do? You will need to add pH Reducer first to take the pH down between 7.4 and 7.8, After that, add Alkalinity increaser until the TA reads 80 - 120 ppm for liner pools, and 100 - 125 ppm for plaster pools. I have a 10,400 gal 21’ round pool. The TA is 240, but the Ph is 6.8 . How much 20 mule borax do I use first to raise the PH? How much muriatic acid? I put too much shock in a few days ago and it is reading 8-10. A half pound of Borax raises the pH of a 10,000 gallons pool by 0.1: You can use the measurement to find how much Borax you need to raise your pH to a given number then add muriatic acid as directed to lower both pH and TA. You may have to repeat the process till pH and TA balance. How often will I have to repeat this process? If the pH and TA levels are not balanced properly, you will have to repeat the process until they balance out. pH is the level of acidity or alkalinity in a solution. 7 is the neutral value. The lower you go from 7 the more acidic your solution will be, and the higher you go from 7 the more alkaline the solution will be. The pH is 7.8 and TA is 240 ppm in my above ground pool. What do I do? Add Muriatic Acid to lower both the pH and TA: Your TA should be between 80 - 120 pmm. You need to be very careful while adding muriatic acid since the pH may go down the recommended level that is 7.2 - 7.8. However, it is likely that pH will drop below 7.2, if so; just add 20 Mule Team Borax to raise the level of pH back to the recommended level, don't use pH plus since it will raise the TA level too. You may have to repeat the process if your TA is still high after adding muriatic acid. I checked my pool, and the pH just right, but the alkalinity is high. What kind of solution should I put in the pool? You need to add Muriatic acid to reduce the TA, but remember that any acid will lower the level of the pH too. So the best thing is to add Muriatic acid to the pool to lower the TA down between 100 - 125 ppm, then add 20 Mule Team Borax to raise the pH to the recommended levels between 7.2 and 7.8. This might take a couple of days, remember to take accurate readings while fixing the problem. We use a frog filtration system. Is borax ok to use with this system? Yes, it is OK since borax will not affect your system. I have been working to lower my alkalinity, and I got it to a 1.5, and it has gone back up to a 200. This is the second time I have tried to lower it, and it goes back up before I am finished lowering it. What am I doing wrong? Are you using muriatic acid? This acid should work well in lowering both TA and pH. Then raise the level of pH back to normal using aeration. Hello Frenchfrey, your alkalinity is too low, use a different alkalinity increaser like the one by Pool Mate you can find on Amazon through a link in the same article. But first work on balancing the pH using a pH reducer, then lastly balance out your TA . I have an in ground fiberglass pool. All summer my total alkalinity has been low (around 50) while my ph has been very high. I have tried using alkalinity increases which also raises my ph, and then ph down which then brings down my total alkalinity. Very frustrating. Any help would be appreciated. Your pH is too low and TA too high: You need to bring down the TA using Muriatic acid. But since muriatic acid will further bring down the pH level too; you first have to raise the pH level up to around 8 using 20 Mule Team Borax (not pH+) - and then carefully add muriatic acid to bring down both TA and pH. TA should read between 100 - 125 ppm for plaster pools and pH between 7.4 - 7.6. If your pH goes down below the recommended levels and TA still high; you will have to repeat the process till they both balance out. You can find 20 Mule Team Borax and Muriatic acid on Amazon through the links in the same article. Good luck Roy! Hi Cottpool, thanks for your comment. Either of the test kit is just OK. However, Lamotte colorQ pro 11 can do a few more tests including copper, iron, and biguanide; which are not very important pool chemical tests and you can do without. So the choice will depend on the amount you are willing to spend on a pool water test kit. Thanks for sharing. Good information to use for pool maintenance. Will follow your advise on the LaMotte ColorPro Kit. I noticed there are versions 9 & 11 which are for both pool and spa. What are your recommendations? Rosa, seems you have a lot of work here. The pH is very low, don't add more muriatic acid because pH will go much down and may cause more problem like corrosion and metal staining. Just leave your pool to aerate for at least 2 - 3 days without adding any chemical while your pump is on 24/7 for the pH level to rise up above 7.6 ppm by itself. Also, if you can find and use any aerator like pool water fountain equipment, please do so that you speed up the process of raising the pH level first. Once you get your pH higher, you can then use muriatic to lower both the alkalinity and pH. This time, you will need to watch on the level of pH while adding muriatic acid so that pH does not get below 7.2 ppm. That means you will have to repeat the process until you get your total alkalinity down to recommended level that is 80 ppm to 120 ppm. Alternatively, you can use 20 Mule Team Borax (on Amazon link above) to raise your pH without raising TA and then add muriatic acid to lower both. Finally, since you are using well water in your pool, when you are done balancing your pH and TA, remember to add Borate in your pool to help keep the pH stable so that it does not drift down again. Here is a link to how you can add Borate in your pool: https://dengarden.com/swimming-pools/Adding-Borate... - Please feel free to ask more questions or communicate your progress here as you work on your pool. Good-luck! Hi Rosa, what is your pH reading? The pH must be high too. You need to add more muriatic acid to farther lower both TA and pH, then give your pool time to aerate in order to raise the pH level. Please take readings for both TA and pH after 24 hours and not immediately as this process may need more time to get perfect balance of TA and pH. I have tried to get my pool levels to the correct level and ots just not working im not sure what else i can do i have put muratic acid in my pool and alkalinity is still way too high mt pool watwr is very cloudy and im not sure what else to do! Magnum that is true, Super Floc is the solution for a cloudy water caused by lots of debris. It is perfect for spring start-up when pools have lots of dirt common in the spring seasons. Floc has a fast-acting formula that drops debris to the bottom of the pool for easy vacuuming. Super Floc is also safe for all pool types and works with all filter types. I just opened our 30,000 gallon above ground pool for the summer.